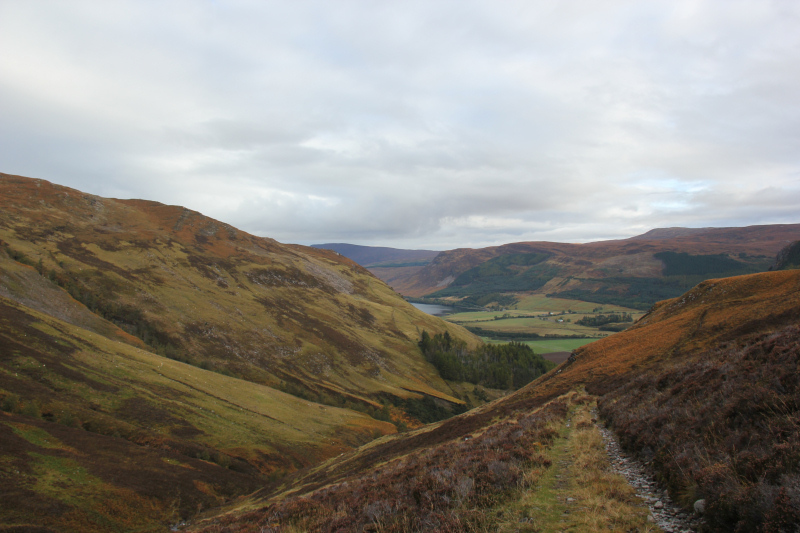 I had intended ascending more than one hill today but in the end decided one was sufficient owing to some on-going pain from a foot injury sustained in Dumfries and Galloway. I parked on the verge beside the bus shelter just before the turn-off to Letters. 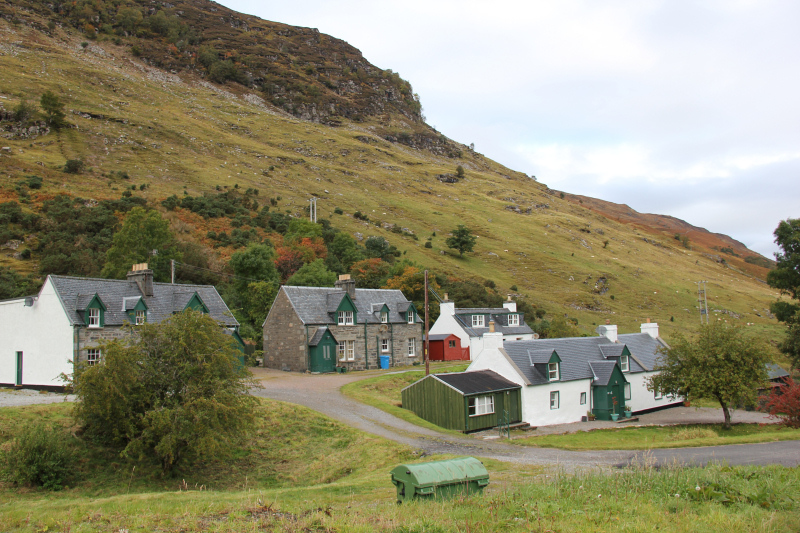 There is a “No Parking” sign beside the start of the track at Auchlunachan. 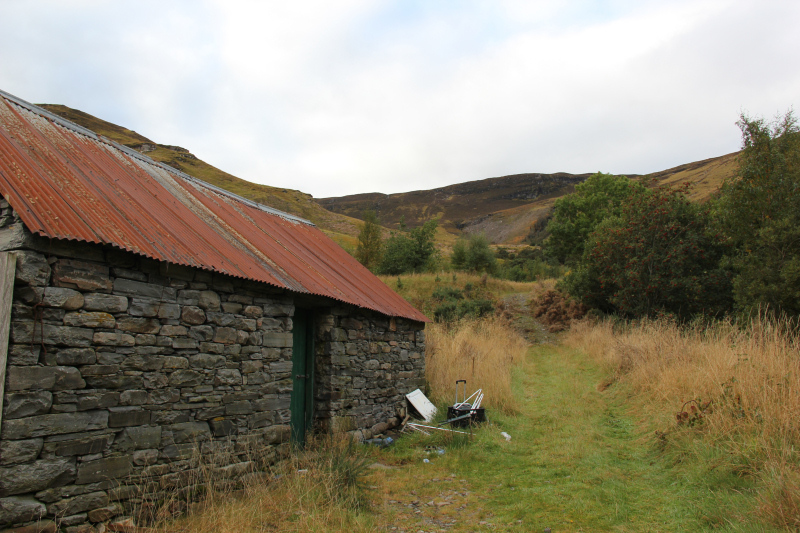 I made my way along the tarmac road to Croftown and then headed East to Auchlunachan. 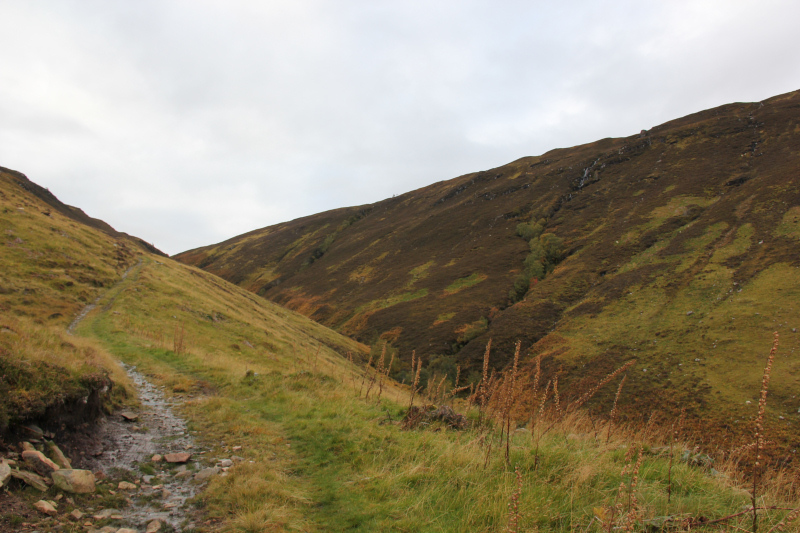 After crossing the bridge over the Allt Ach’ Ghlaineachain, I took the track leading up next to one of the houses. I found it a bit bizarre to see a rabbit hutch at the side of this house with numerous dead rabbits in it. The house was occupied. The track up the hillside was pretty-good, allowing for fast progress up the hill. I followed this track for just over 1.5km. 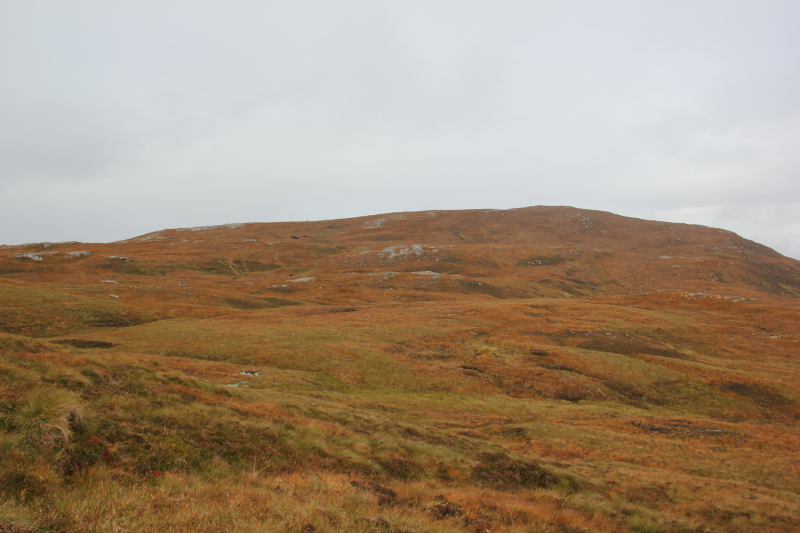 A short distance beyond, where the track crossed the Alltan Odhar, we took to the hillside. 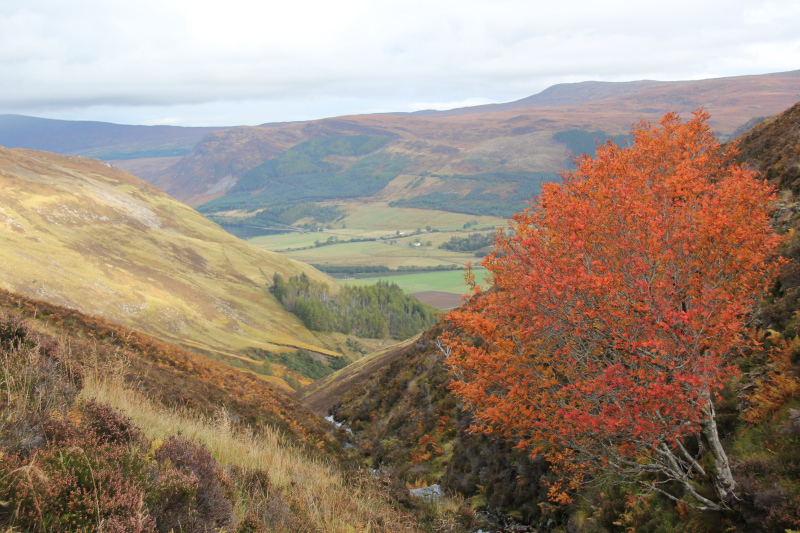 Nice to see the autumnal reds, oranges and yellows in the plants and trees as the chlorophyll in the plants starts to break down due to the low temperatures and shorter days. Also great to see the bracken going brown. 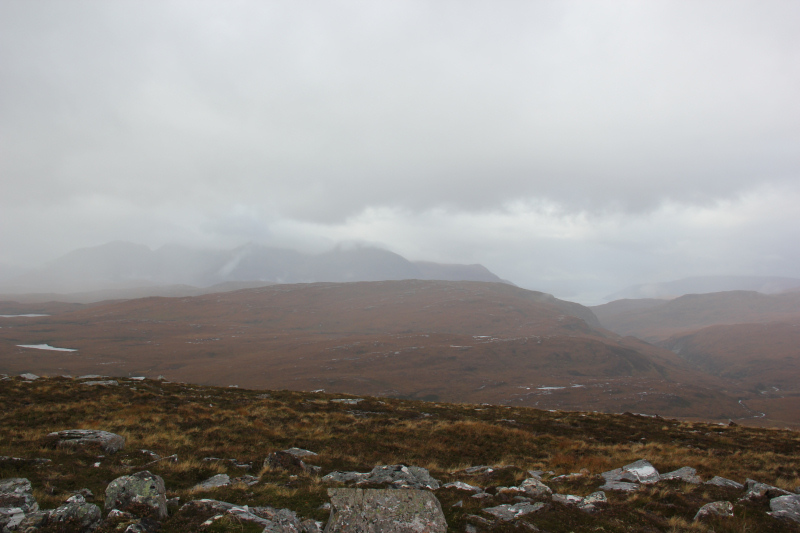 There were good views to the East, however, views to the West were practically non-existent as everything was covered in low cloud. We spotted two groups of deer while on the hill. 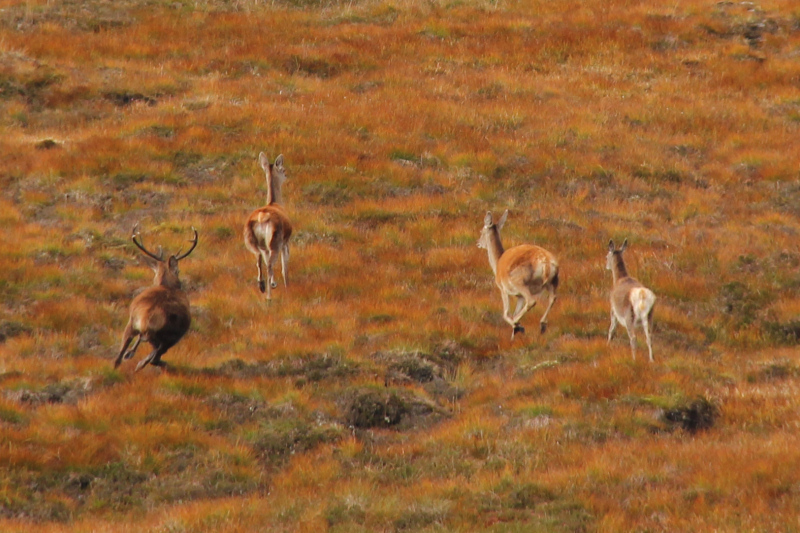 It was great to hear the sound of stags rutting for the first time this year. 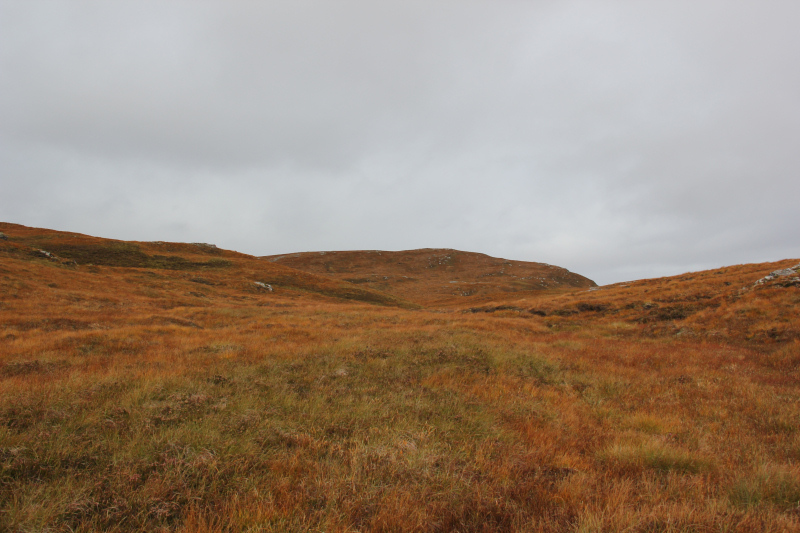 The crossing towards Meall Glac Tigh-fail was reasonably pleasant – short grass and not too wet underfoot. We approached the summit from the South, passing a rib of rock with a small erratic boulder on it. I touched the boulder on the way past. 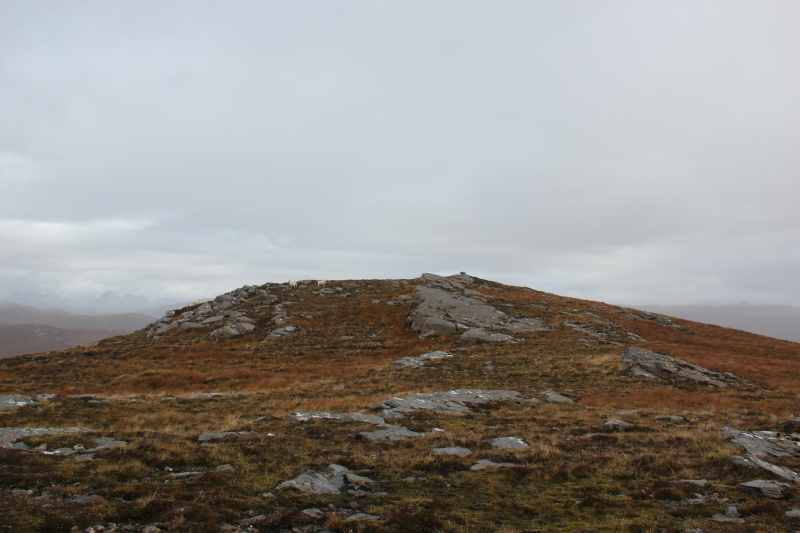 I hadn’t done my homework for this hill, the rib of rock next to the small erratic boulder is apparently the summit. I’m glad I went past it en-route to the cairn. 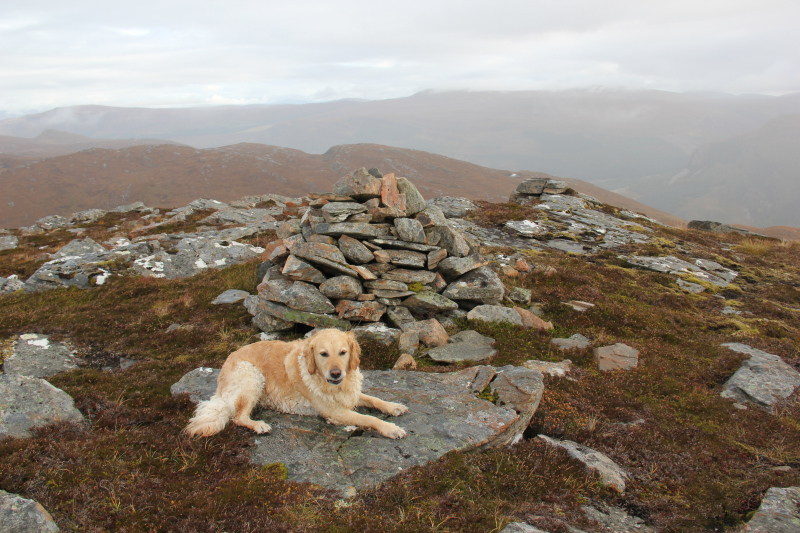 As well as visiting the cairn, I also went to the rock about 5m past the cairn because I thought it was the summit. 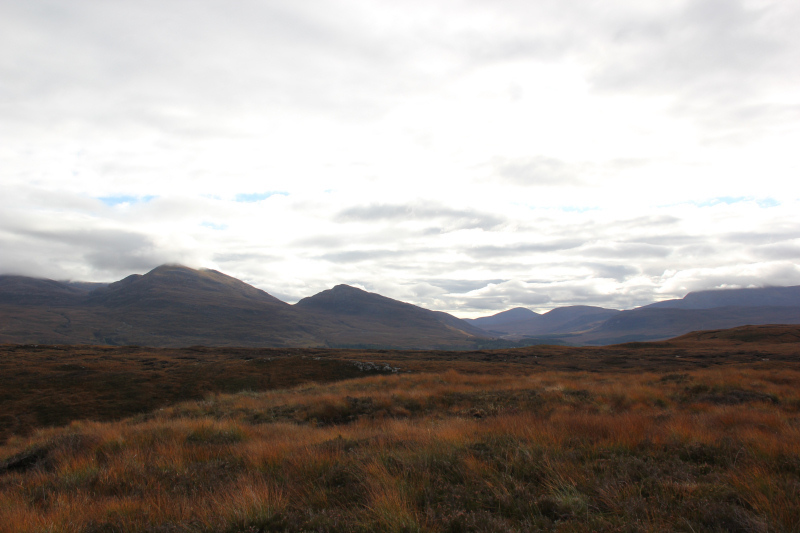 The most disappointing part of this walk was that there were no views across to An Teallach. 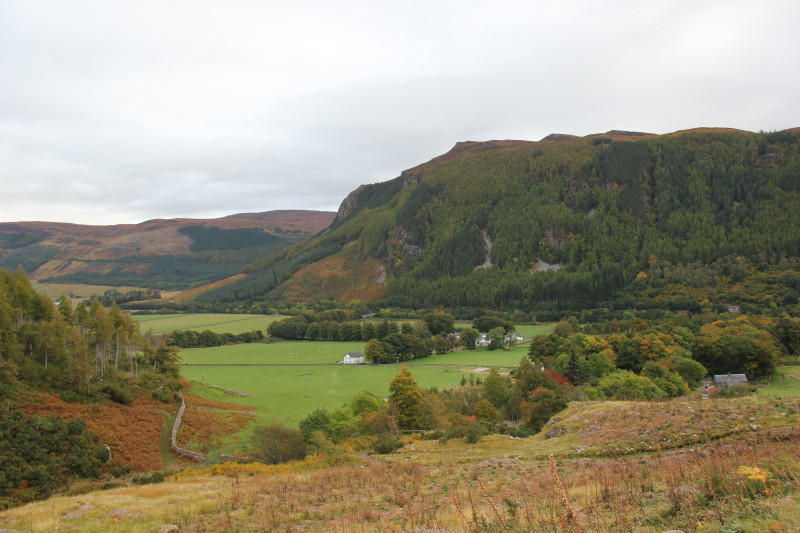 This hill would be a great viewpoint for An Teallach on a good day. 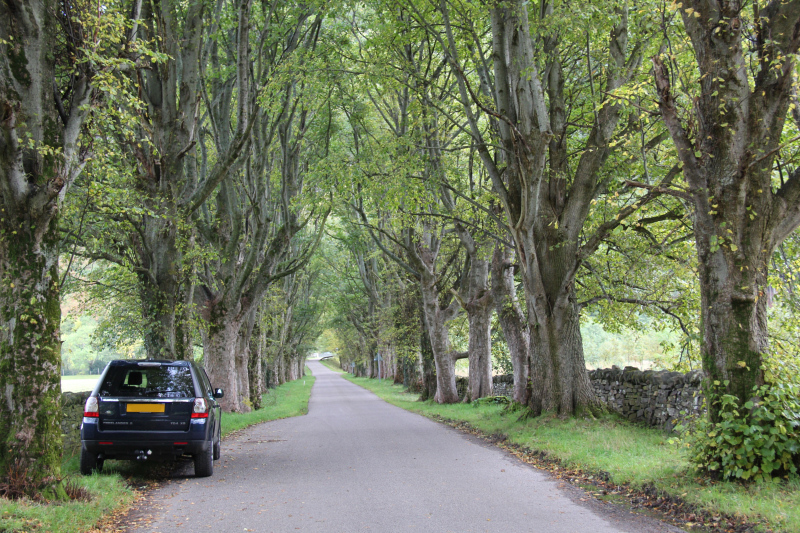 We returned to the car via roughly the same route. A couple of minutes after getting back into the car it started raining heavily. For once, good timing .